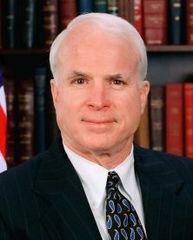 On February 1, McCain won a 49–30% victory over Bush in the New Hampshire primary. Gary Bauer dropped out. After coming in third in Delaware Forbes dropped out, leaving three candidates. In the South Carolina primary, Bush soundly defeated McCain. Some McCain supporters blamed it on the Bush campaign, accusing them of mudslinging and dirty tricks, such as push polling that implied that McCain's adopted Bangladeshi-born daughter was an African-American child he fathered out of wedlock. While McCain's loss in South Carolina damaged his campaign, he won both Michigan and his home state of Arizona on February 22. The primary election that year also affected the South Carolina State House, when a controversy about the Confederate flag flying over the capitol dome prompted the state legislature to move the flag to a less prominent position at a Civil War memorial on the capitol grounds. 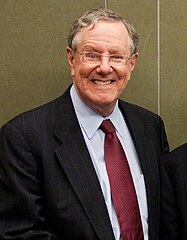 The nomination went to Pat Buchanan  and running mate Ezola Foster from California, over the objections of party founder Ross Perot and despite a rump convention nomination of John Hagelin by the Perot faction (see Other nominations below). 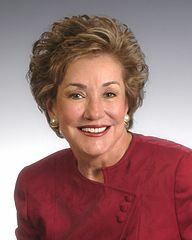 In the end, the Federal Election Commission sided with Buchanan, and that ticket appeared on 49 of 51 possible ballots. The Libertarian Party's National Nominating Convention nominated Harry Browne from Tennessee and Art Olivier from California for president and vice president respectively. 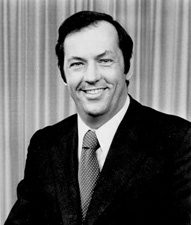 Browne was nominated on the first ballot and Olivier received the vice presidential nomination on the second ballot. 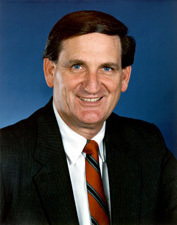 Browne appeared on every state ballot except for Arizona, due to a dispute between the Libertarian Party of Arizona (who instead nominated L. Neil Smith) and the national Libertarian Party. 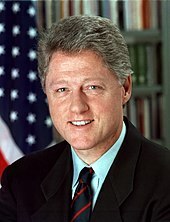 Bush criticized Clinton administration policies in Somalia, where 18 Americans died in 1993 trying to sort out warring factions, and in the Balkans, where United States peacekeeping troops perform a variety of functions. "I don't think our troops ought to be used for what's called nation-building", Bush said in the second presidential debate. Bush also pledged to bridge partisan gaps in the nation's capital, claiming the atmosphere in Washington stood in the way of progress on necessary reforms. Gore, meanwhile, questioned Bush's fitness for the job, pointing to gaffes made by Bush in interviews and speeches and suggesting the Texas governor lacked the necessary experience to be president.
" Strategery": a phrase uttered by Saturday Night Live's parodic Bush character (portrayed by Will Ferrell), which was jokingly picked up by Bush staffers to describe their operations. 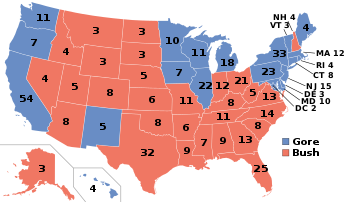 Though Gore came in second in the electoral vote, he received 547,398 more popular votes than Bush,  making him the first person since Grover Cleveland in 1888 to win the popular vote but lose in the Electoral College. 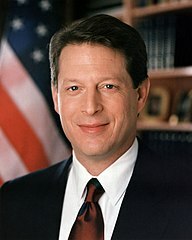 Gore failed to win the popular vote in his home state, Tennessee, which both he and his father had represented in the Senate, making him the first major-party presidential candidate to have lost his home state since George McGovern lost South Dakota in 1972. 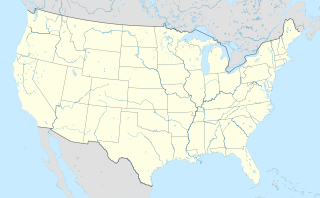 Furthermore, Gore lost West Virginia, a state that had voted Republican only once in the previous six presidential elections,  and Bill Clinton's home state of Arkansas, which had voted twice before to elect Gore vice president. 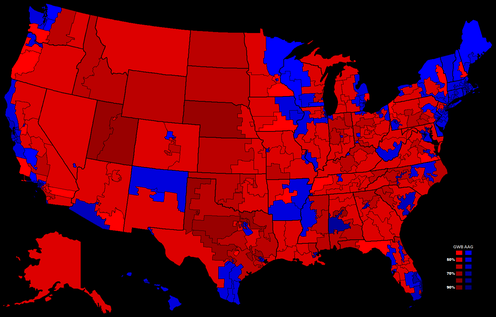 A victory in any of these three states would have given Gore enough electoral votes to win the presidency. 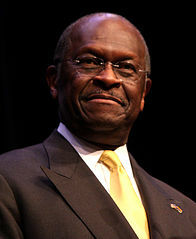 Bush was the first Republican in American history to win the presidency without winning Vermont or Illinois, the second Republican to win the presidency without winning California ( James A. Garfield in 1880 was the first) or Pennsylvania ( Richard Nixon in 1968 was the first), and the first winning Republican not to receive any electoral votes from California (Garfield received one vote in 1880). Bush also lost in Connecticut, the state of his birth. As of 2016, Bush is the last Republican nominee to win New Hampshire. 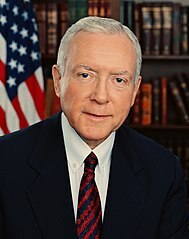 Because the 2000 presidential election was so close in Florida, the United States government and state governments pushed for election reform to be prepared by the 2004 presidential election. Many of Florida's year 2000 election night problems stemmed from usability and ballot design factors with voting systems, including the potentially confusing " butterfly ballot". Many voters had difficulties with the paper-based punch card voting machines and were either unable to understand the required process for voting or unable to perform the process. This resulted in an unusual amount of overvote (voting for more candidates than is allowed) and undervotes (voting for fewer than the minimum candidates, including none at all). 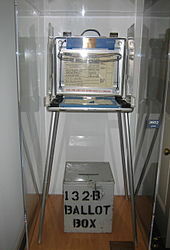 Many undervotes were caused by voter error, unmaintained punch card voting booths, or errors having to do merely with the characteristics of punch card ballots (resulting in hanging, dimpled, or pregnant chads). The Voter News Service's reputation was damaged by its treatment of Florida's presidential vote in 2000. Breaking its own guidelines,[ citation needed] VNS called the state as a win for Gore 12 minutes before polls closed in the Florida panhandle. Although most of the state is in the Eastern Time Zone, counties in the Florida panhandle, located in the Central Time Zone, had not yet closed their polls. Discrepancies between the results of exit polls and the actual vote count caused the VNS to change its call twice, first from Gore to Bush and then to "too close to call". Due in part to this (and other polling inaccuracies)[ citation needed] the VNS was disbanded in 2003. 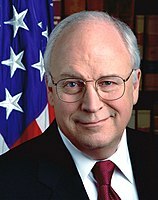 Many Gore supporters claimed that third-party candidate Nader acted as a spoiler in the election since Nader votes could have been cast for Gore, and for instance, Nader allegedly threw the election outcome to Bush. Nader received 2.74 percent of the popular vote nationwide, getting 97,000 votes in Florida (by comparison, there were 111,251 overvotes)   and 22,000 votes in New Hampshire, where Bush beat Gore by 7,000 votes. 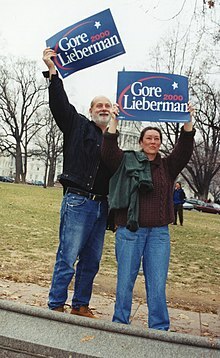 Winning either state would have won the general election for Gore. Defenders of Nader, including Dan Perkins, argued that the margin in Florida was small enough that Democrats could blame any number of third-party candidates for the defeat, including Workers World Party candidate Monica Moorehead, who received 1,500 votes. But the controversy with Nader also drained energy from the Democratic party as divisive debate went on in the months leading up to the election. 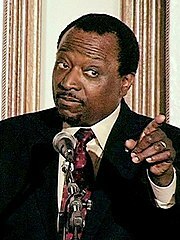 Democratic party strategist and Democratic Leadership Council (DLC) chair Al From expressed a different view. In the January 24, 2001, issue  of the DLC's Blueprint magazine,  he wrote, "I think they're wrong on all counts. The assertion that Nader's marginal vote hurt Gore is not borne out by polling data. When exit pollers asked voters how they would have voted in a two-way race, Bush actually won by a point. That was better than he did with Nader in the race." ^ Wolter, Kirk; Jergovic, Diana; Moore, Whitney; Murphy, Joe; O'Muircheartaigh, Colm (February 2003). "Statistical Practice: Reliability of the Uncertified Ballots in the 2000 Presidential Election in Florida" (PDF). The American Statistician. American Statistical Association. 57 (1): 1–14. doi: 10.1198/0003130031144. JSTOR 3087271. Retrieved June 12, 2016. ^ Holmes, Steven A. " After Campaigning on Candor, McCain Admits He Lacked It on Confederate Flag Issue. The New York Times. April 20, 2000. Retrieved 2015-06-19. ^ Herron, Michael C.; Lewis, Jeffrey B. (August 2007). "Did Ralph Nader spoil Al Gore's Presidential bid? A ballot-level study of Green and Reform Party voters in the 2000 Presidential election" (PDF). Quarterly Journal of Political Science. 2 (3): 205–226. doi: 10.1561/100.00005039. 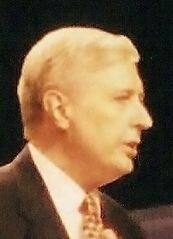 Miller, Arthur H.; Thomas F. Klobucar (2003). 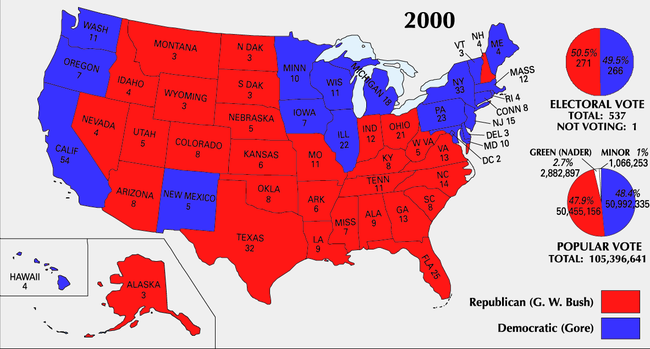 "The Role of Issues in the 2000 U.S. Presidential Election". Presidential Studies Quarterly. 33 (1): 101+. doi: 10.1111/j.1741-5705.2003.tb00018.x. Wattenberg, Martin P. (1999). "The Democrats' Decline in the House during the Clinton Presidency: An Analysis of Partisan Swings". Presidential Studies Quarterly. 29 (3): 685. doi: 10.1111/j.0268-2141.2003.00057.x. Keating, Dan ( The Washington Post). "Democracy Counts, The Florida ballot recount project", paper prepared for presentation at the annual meeting of the American Political Science Association, Boston, 2002.